The BOMA Project is thrilled to be among the United Nations Federal Credit Union Foundation’s 2019 grant awardees. 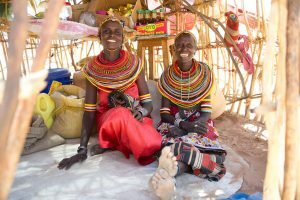 This is the second year in a row that BOMA has received funding from UNFCU Foundation, and is one of just 14 organizations, including TrickleUp and WomenForWomen International, to receive grants this year. UNFCU Foundation is a New York-based non-profit corporation launched in 2015. It was established by the United Nations Federal Credit Union (UNFCU) with a mission to sustain the path out of poverty through healthcare and education for women and youth. BOMA’s poverty graduation program, which helps ultra-poor women in the drylands of Africa become self-sufficient and forge their own pathways out of extreme poverty, aligns with UNFCU Foundation’s core mission to sustain a path out of poverty through education and healthcare for women and children in disadvantaged communities. To learn more, follow UNFCU Foundation’s progress on YouTube, on Twitter at @UNFCUFoundation, and on Facebook at facebook.com/unfcufoundation. To see the complete press release and list of 2019 grantees, CLICK HERE.